Here they are, ready to help and to keep this forum attractive, convivial as well as fair. We selected photographers who are known in their fields of interest and expertise to help us organize and moderate the forums. In the beginning it was an ad hoc coming together of those who have worked with me in the past or who have influenced my photography by their writing, body of work or professional interaction. Now we are building a group of moderators and editors-at-large to share expertise in all aspects of image making from concept to print, from wizard to wizardry nuts and bolts, everything. However, we are not trying to be encyclopedic. We are not into every menu option on the myriad of devices on the market. Rather it is what we want and need and do and could do. That is what this is about. A glance at the list of moderators and Editors-at-Large shows that we have made a great start. It is so important that we have competent and reasonable moderators who can participate themselves. We are proud that we have a stellar group to allow us to get off the ground. The Editors-at-Large already have an international following. Andy Biggs, Safari, Landscape and Wildlife; Edmund Ronald, Photojournalist and Commentator on Photography; Arthur Morris, one of the foremost bird photographers and conservationists and then Ian Griffiths a very busy large event photographer in the U.K. The moderators and Editors-at-Large, are all exceptional people and great communicators. You already know many of them. Some may be part of another National Market so here is an excellent opportunity to make new friends and get different perspectives. Now we can’t possibly know all the fine guys everywhere who really should be invited to join us. That is up to you. We need moderators in many fields and we need more than one per forum. Everyone successful and expert is busy. That's their nature. Still, we don’t want being a moderator to become to tiresome for anyone. So, having more of the brightest guys around gives us time-zone, work load and vacation protection for the forum. We would welcome suggestions or offers for new members to join our team. Tim Armes has been a photographer since his late teens, however it was with the introduction of affordable digital SLRs that his work really took off. Digital technology has allowed Tim to experiment with all sorts of photographic subjects, stirring his creativity and inciting his interest in all that photography has to offer. Coming from a technical background, Tim quickly mastered the "digital darkroom" and soon discovered a passion for studio photography, where the precise lighting control allows him to produce artistically oriented imagery. For Tim, the most important thing is not to stagnate. He continues to find interest in new photographic subjects and styles, and strives to constantly improve his abilities in all aspects of photography, from the subject and composition to the interpretation and final print. Originally from Paris, France, Alain Briot has lived in the United States since 1986. Making his home in Arizona, Alain's favorite photographic locations include Navajoland, where he lived for 7 years, the Grand Canyon, where he sells his work and where on average he spends over 50 days a year, and the rugged canyonlands wilderness of Southern Utah and Northern Arizona. Alain works with large format, medium format and 35mm. The choice of camera is based on Alain's vision for each image. Alain's goal is to create the most exciting photographs possible, bar none. His equipment, be it cameras, software, printers, etc. is chosen for its ability to make this possible. Alain's vision of the landscape is of a place of beauty, a place where we can experience a direct contact with nature. For Alain the landscape is a place where we can find respite from the pressures and stresses of the 21st century. It is also a place where we can find inspiration and freedom of expression. Nicolas spent his first years in Cannes, the city located on the French Riviera where magnificent yachts, small fishermen boats and movie festivals are the fundamentals of the life. Sometimes the place where one spends one’s youth sets the stage for the rest of one’s life. He was already an amateur boat builder by the age of 19 (he built a 45 ft sailboat with a friend)! He cut his teeth as a photographer’s assistant in 1975 over several months in fashion and news photography in Paris and then the sea pulled him back to sailing. These two forces have shaped his life. As a skipper, from 1974-1979, he sailed the Mediterranean Sea and the three oceans. 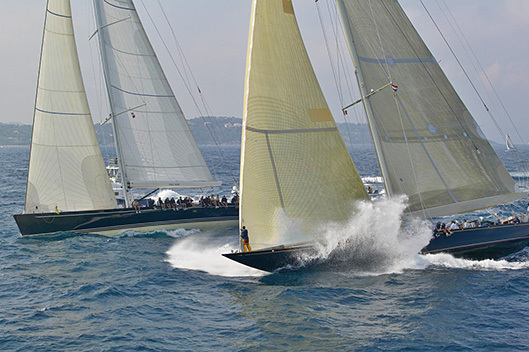 Then came boat building in Antibes for 4 years and following that a successful career in advertising agencies work for almost 10 years in Paris. In 1993 he created “M&N Claris Organisation” with Marine, his talented wife and Art Director: an advertising agency dedicated to the Yachting industry. They became noted for thier orchestration of the needs of the boat designers, owners and builders with the hired photographers. By 2001 he was fully devoting to his passion for his own photography of the best of yachts that prestige shipyards could produce. This carried through in the CMYK delivery of the pictures in ads, brochures, catalogs, limited edition books and giant exhibition prints as well. Don Cohen became interested in nature and wildlife photography while studying Fisheries Biology in College and Graduate School, in the early 1970's. But the demands of a growing family, and a career shift to Medicine, caused this to be put on the 'back burner' for several decades. In late 1998, his fascination with computers converged with his dormant interest in photography, resulting in the purchase of a digital camera. His involvement in photography has grown exponentially since that time, and he has spent countless hours pursuing his newly awakened passion. He started his website (www.dlcphoto.com) in early 2001, and it now contains a large collection of high-quality images from a wide variety of locations both inside and outside the United States (Costa Rica, New Zealand, Fiji, Grand Cayman, Nova Scotia, New Brunswick, Maine, Utah, Arizona, New Mexico, North and South Carolina, Georgia, Florida, Virginia, New Jersey, Delaware, Wisconsin, etc.). His website also contains information on a wide variety of topics helpful to both beginning and advanced photographers. He was recently named the Senior Photographer for Alive, official magazine of the North Carolina Zoo, and his images have appeared on many of its covers. In addition, his work has appeared in Lake Norman Magazine, Digital Camera (a United Kingdom periodical), and a variety of other publications. All this has been accomplished while still working full-time as an Ophthalmologist in his current home town of Mooresville, NC. He has successfully led several "Photo Safaris" to Costa Rica, with plans now in place for a return workshop trip December 1st-10th, 2006. And now that he has taken a partner in his medical practice, he will be devoting more and more time to photography and related pursuits. He boasts not technically knowing what “Rembrandt Lighting” is all about. That is just part of his attitude of non-pretentiousness. Stephen claims nothing except his ability to make people beautiful. You might want to say, bring out the beauty that’s within. No Stephen has none of that. He is an artist at lighting the human form. He starts with a model, haughty, beautiful, seductive or not and then paints with his lights. That is Stephen and that is just the start. His mastery is again in the retouching delivering perfection even with the hard in your face looks that current fashion seems to favor. Some say that such created beauty is false and doesn’t represent the real American woman. Stephen is unabashed about this too. Nobody picks up vogue to see what they can see in the mirror or in the supermarket! Stephen delivers the images that make people wonderful, alluring and important. He’s great at what he does and has an international following. We are delighted to have him help us in moderating the Beauty and Fashion forum. Jack Hartzman has been photographing special events since 1980. Heavily influenced by the theatre, and classically trained in portrait and wedding photography by living legend “Monte Zucker”, Jack utilized his passion for the “LIVE” look of events and quickly became one of the nation’s premiere Special Event “Room Shot” photographers. Jack and his partner of 16 years, Monica Vidal, opened MH Photography & Concepts in 1990 and have been capturing historical moments in the Washington, D.C. ever since. Their credits include the openings of the 1993 & 1997 Clinton Presidential Inaugurations, 6 NFL Super Bowls, the 1996 Olympics, the 2000 Sugar Bowl, 5 NCAA Basketball Final Fours, the Philadelphia, Atlantic City and Wildwood, NJ, Honolulu and Washington, D.C. Convention Center grand openings Holocaust Museum, FDR Memorial, Women in Military Service Memorial, WWII Memorial (assisted by Michael Tapes) and the implosion of the old Washington Convention Center. In 2005, MH Photography joined forces with Washington Talent, Photo and Video (WTPV) www.washingtontalent.com. Jack currently oversees 5 teams of aspiring event photographers and is the Creative Director for the entire company. The NEW team at WTPV just returned from covering the 2006 BIO Technology Conference in Chicago (www.bio.org). This was the 4th consecutive year of working with BIO organization and the 3rd shooting full RAW over 5 days using 8 photographers and capturing 10,000+ files. Jack has two children; David (14) who stays behind the camera and Deanna (12) who likes to be in front of it. Peter Krogh Is popular for his book on Digital Asset Management for Photographers, The DAM Book. http://www.thedambook.com. His book is a must-read for anyone building a serious filing system for all the myriads of files we generate with digital cameras. It is not just the files themselves that we need to worry about, it's everything about them! Nothing is safe nor sacred. All living things die. All complex systems fail, albeit with low rates if one is selective in choosing ancestors, hard drives and software to manage everything. What Peter shares with us is how to think about photography files in ways that allow the images we have taken yesterday and will take tomorrow to be accessible way into the future (how about 15 years from now) when much of the standards we rely on will have been surpassed, bypassed and largely forgotten. His approach involves choice of hardware, learning an attitude, adopting a strict nomenclature that eschews petty naming choices that we easily get caught in. We have been, perhaps, too comfortable naming picture files according to the client, model, shoot, location or our fancy! Who hasn’t ended up with files called, “Veronica, London_bridge_edited_final_v4_latest” when names like 2006_04_25_000567_deriv_v4. Or 2006__0027,031_deriv_v4, marked with key words in say iviewmedia Pro or Portfolio , allow rapid retrieval and future migration. Further, either as a wise prophet or as someone a little more ahead of the curve, Peter has put his faith in the DNG file format for our photo files. This, in itself, makes Peter’s place on the Digital Asset Management Forum even more interesting and valuable. Thanks Peter for taking on this job! Kyle Nagel caught the photography “bug” in 1984 from his first camera, Pentax ME Super, a gift from his parents. By 1986 he had enrolled in Commercial Photography at Weber State College in Ogden, Utah. The Mountains of Utah became Kyle’s photographic playground as his love of the outdoors seemed like a perfect marriage with his love of photography. Shooting primarily landscape and wildlife photography in 35mm and later medium format Kyle made the switch to digital in the fall of 2004, shooting RAW since the beginning. Since then he has started doing more work away from his comfort zone of outdoor photography. For the past year he has been photographing people and doing some product photography too. Although Kyle makes his primary living outside the photographic industry most of his free time is spent behind the camera, and thanks to Sherry (his very patient and understanding wife) he has been able to continue feeding his photographic “habit” for the last 20 years. Kyle has become extremely fond of Pentax cameras and equipment, making him on some occasions seem more like the redheaded stepchild in family where everyone else’s name begins with a “C” or an “N”. Andrew Rodnet has earned a reputation as one of the leading color management and photoshop experts and trainers in the U.S.A. He is well known as a contributer to many leading publications. His opinions are sought by companies and individuals alike. Without a color-managed workflow from capture to screen to print, we are lost. We are delighted that Andrew is with us to help us find our way. Andrew Rodney, aka the Digital Dog, has successfully provided these services and training to photographers, designers, print shops, government agencies, as well as fortune 1000 companies since 1993. Andrew is a certified technical trainer for Adobe Photoshop 6.0. The Digital Dog is an authorized Linocolor training center and Radius Colormatch Center. Andrew was the technical editor for Photo Electronic Imaging magazine. and is He’s the author of the soon to be released "Color Management for Photographers" to be released by Focal Press in February 2005.Andrew writes regularly for Professional Photographer Magazine. Andrew has been featured in the following publications: PDN, Publish, Photoshop User, Electronic Publishing, Digital Output, MacWeek, and Professional Photographer. Joel Schotet is a photographer and attorney now living in Las Vegas, Nevada. He has been shooting Nikons for almost 30 years, starting with the FE and currently with the D2x and the D200. After shooting sports and travel subjects for newspapers and promotional groups, he started concentrating on nature and landscapes in the mid-1990’s; and began selling his photos at that time. He moved from the east coast to be closer to the red rock country he loves, especially Zion, Bryce and the Grand Canyon. In addition to nature and landscape work, he now does portrait and event photography (together with the lovely and talented Miss Barbara) incorporating the varied backdrops - both natural and unnatural - that Sin City and the scenic surrounding area provide. Uwe Steinmueller (born 1947) started his photography in Germany 1973. He shares a joint copyright with his wife Bettina. First Exhibitions 1978 in Bremen, Germany with photos from Venice, South Tirol, Germany, France. Move to California in 1997, Working seriously on digital photography since 1999. Uwe is today very much also focussed on the digital workflow, raw file processing and the printing process (color and B/W on large format Epson printers with archival inks). Uwe involvement in early product testing is influencing today many different imaging tools as part of the early testing of these helps refine them for practical use. products. After a 15 year lapse, the convergence of 3MP digicams, the IBM Microdrive, and the latest Epson printer (he has owned every one since the original Stylus) brought Michael back to still photography with a vengeance. He became a Canon D30 expert and fascinated by the concept of RAW. There was so little information back then, that when the embedded JPEG inside of the CRW RAW file was "discovered" this was a huge revelation!. Still, no one had the total picture and so it was not possible to have a really good RAW workflow. Then he and Bruce Henderson brought YarcPlus into the market. This became one of the 2 predominant Canon-based Raw Converters along with BreezeBrowser. However, once Capture One was released, Michael saw that the art of RAW conversion had been re-defined. Phase One quickly brought him on board and Michael became their worldwide evangelist for Capture One. while also and, at At the same time, he also worked with Capture One R&D to provide continuing improvements. Michael co-developed Archive Creator, unique in its ability to archive to all types of media, spanning discs and creating a visual generic HTML index along the way. Michael has highlighted accurate White Balance as the simple and obvious route proper color rendition. His calibrated reference tool, WhiBal® is now an important adjunct to Digital capture. Michael is also the product based Executive Consultant for the Windows based RawShooter by Pixmantec, working once again with Michael Jonnson, co-owner of Pixmantec, and the original architect of the Capture One software back at Phase One. Tapes has a passion for street photographyalsoshoots large events on assignment for Jack Hartzman out of DC. Michael owns and runs www.rawworkflow.com, the home of WhiBal and Archive Creator, and small sampling of his work is posted at www.michaeltapes.com.